More bambis! A fantastic bambi posy vase- replete with log, flowers, sparkles- all hand painted, and a salt and pepper shaker pair. Rather than distinguish between S and P with the number of holes [in the head of the bambi, it has to be said] we have an alert bambi and a sleeping bambi. Awwww! My fascination with bambi goes way back – way back when as a child I wanted a bambi but my mother thought them too ‘kitsch’ [by which she meant ‘common’.] So whenever I come across them now- I collect them. They are still terribly kitsch- but that is the attraction! Cats rule the internet [have you seen ‘Cats of Instagram’?] and what better than kitschy cats? These Siamese cat salt and pepper shakers have it all : kitsch, 60s styling, made in Japan- and did I mention? Cats. The cats’ faces presage anime- large heads, disproportionately large eyes [with eyelashes no less, whiskers don’t seem to exist] and they are both in ‘movement’ stances – these guys aren’t static animals- they are full of life. And the final coup de grace – the pair of figurines are in different poses. A lovely novelty salt and pepper shaker set- in lustre ware- from Japan. So cute! The chicks come in their original holder and are complete with their cork stoppers. The whole set is hand painted and in pristine condition- I don’t think the chicks have even been used for their intended purpose. I have come to embrace lustre ware [although my partner still thinks it’s on the wrong side of kitsch] – a 50s invention that that had pottery decorated and then covered with a thin layer of mother-of-pearl or metallic (gold or copper) glaze over the top to give it the super ‘lustre’ sheen. What was it about donkeys, sombreros, and cactuses that made them so exotic in the 50s? 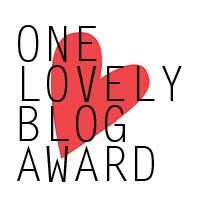 So overused and clichéd then – so kitschy now. I like that this salt and pepper set has donkeys in different poses, and with those huge eyes- they anticipate anime. In the 50s the world was opened up to middle class travel. No longer the preserve of the rich, middle class Australians travelled to all corners [a terrible/inaccurate expression] of the globe. Since Australia was 20 hours travel away from ANYWHERE – you might as well travel 50 hours and see South America. And having spent every last penny getting there, I suppose there wasn’t much money left for travel souvenirs. 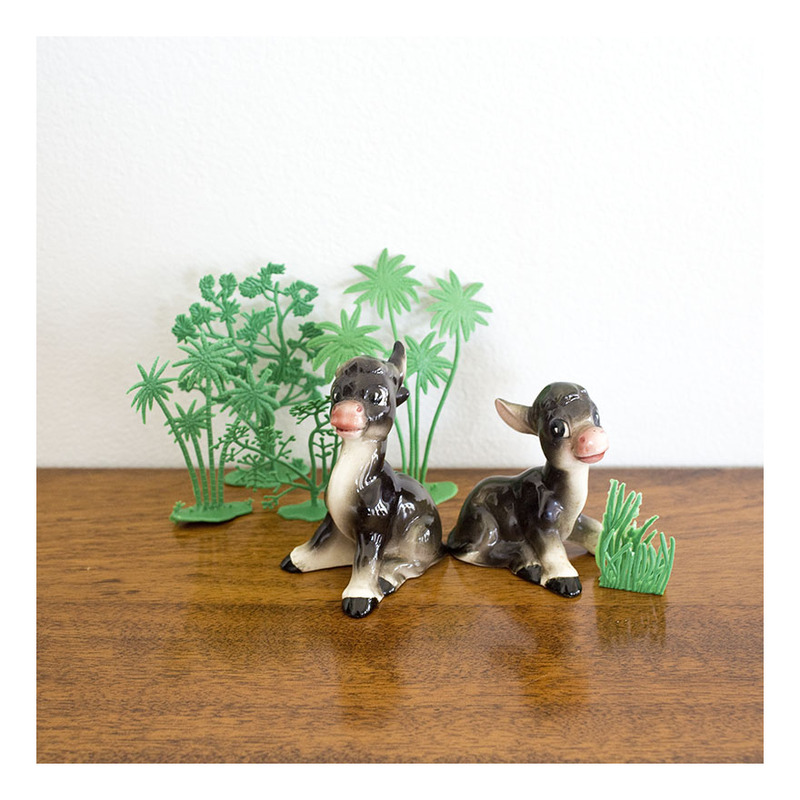 Google donkey salt and pepper shakers- and wow! ~ what a selection. No cliché left unturned. But yesteryear’s cliché is my kind of kitsch. And these donkeys are in perfect condition, stamped ‘Japan’ on the base. Part of the 50s export market for Australian travelers to South America made in Japan. Truly international! I don’t know much about Delfts Blue or the mad keen community that collects it, but when I saw this pair of salt and pepper shakers- hand painted, with DB marked on the base, I snapped them up. This is souvenirware from the 60s- I found through research- made in The Netherlands. 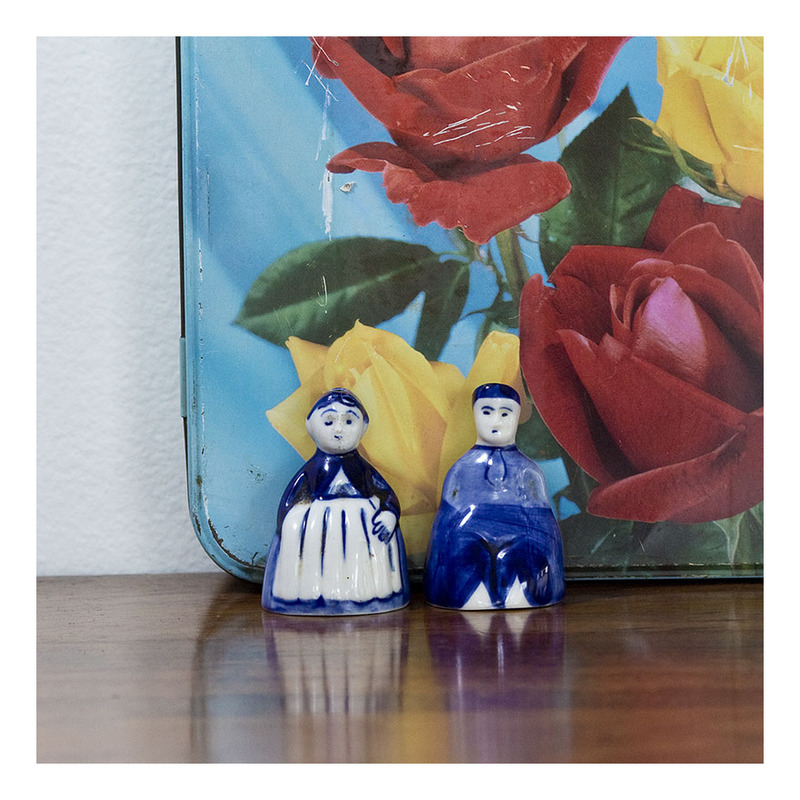 The shakers, made to resemble a traditionally dressed Dutch man & woman, also came in windmills, clogs, tulips and other stereotypical Dutch garb. They are quite crudely made and painted but I gather that is part of their vintage charm. Another 60s collection -for the salt and pepper shaker collectors out there- and for those who like retro condiment sets. The back three pieces belong to one set, and the front three pieces another. All feature the 60s fascination with abstract illustration- which has been hand painted and glazed. The salt and pepper designs are interesting in that they don’t indicate the condiment by the number of holes- rather they have a helpful painted ‘S’ and ‘P’. I can understand the fascination with collection salt and pepper shakers- they are small to store, come in an infinite variety of designs- and are quite functional. These two sets come with a mustard jar and a cheese plate to round out there appeal. Just last month I posted Salty and Peppy – novelty Japanese salt and pepper shakers from the 60s- and here is version 2! The cats are still in barrels, but this time they are sans handles. These also pop up from their barrels when condiments are required, and their lidded hats screw off to place the salt and pepper. 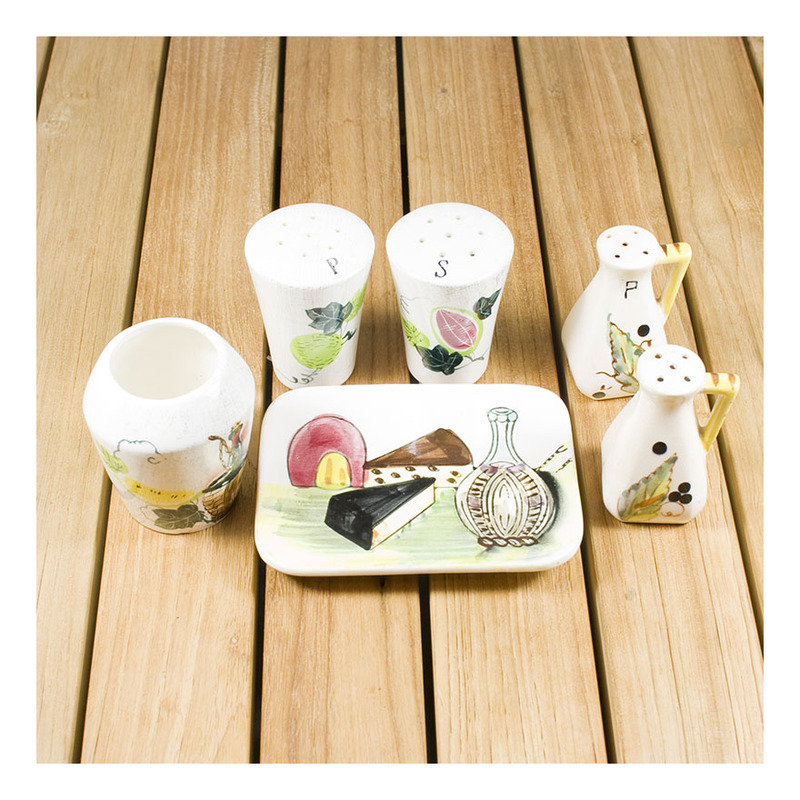 The shakers are timber, hand-painted and this set, still in its original box, is unused. This time the cats are marmalade coloured [I think that’s the correct feline colour description] – the last pair were black cats. But the colour coding remains constant: Peppy has a red lid, Salty a white. And should you forget this, their names are helpfully written on the barrel. 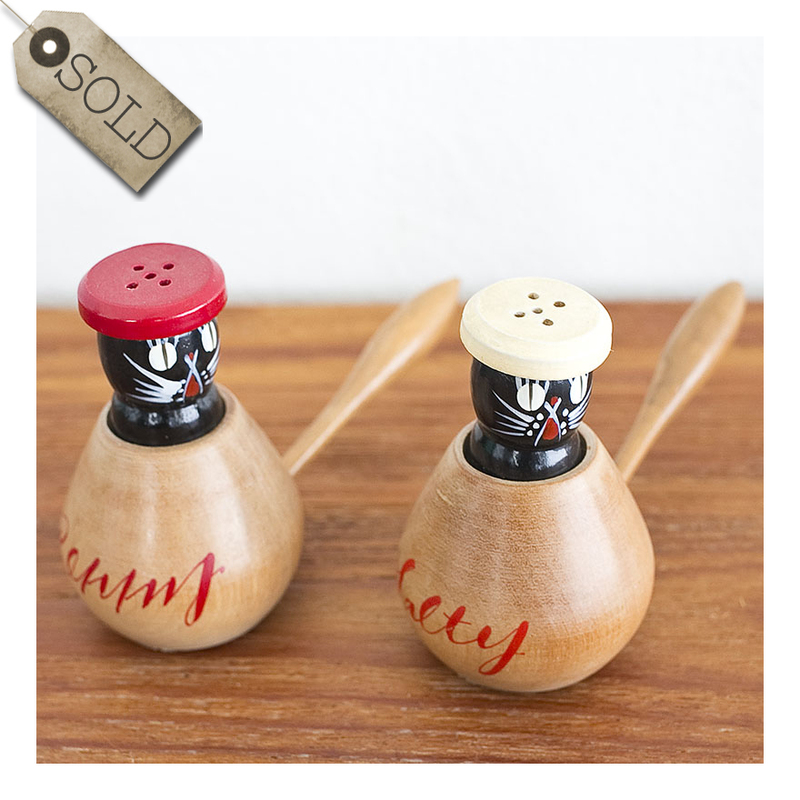 As I noted last time – Salty and Peppy are a must for salt and pepper shaker collectors- or cat fanciers- or indeed cat-loving salt and pepper shaker collectors. And now you can JUST collect vintage-Japanese-timber-cat-salt-&- pepper shakers. 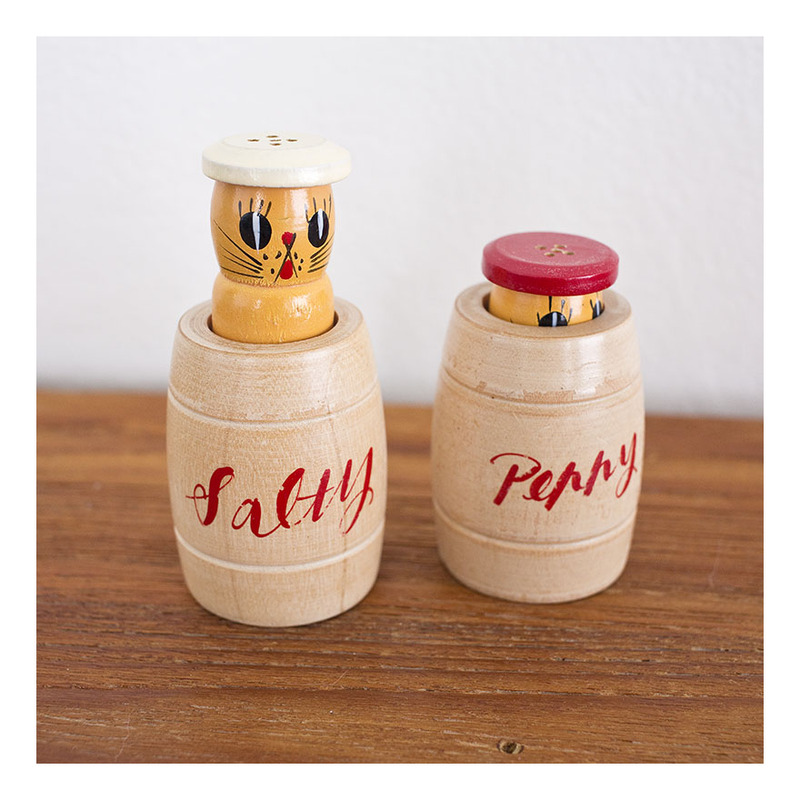 Salty and Peppy are novelty salt and pepper shakers- in the form of cats- which pop out of their timber barrels when those condiments are required, and then settle back into them afterwards. The whole ensemble is timber- and their lidded caps screw off to allow the insertion of the salt and pepper. The cats’ faces- all hand-painted- seem to have a mildly startled expression; perhaps due to finding themselves ensconced in a barrel in the first place. Certainly they are aware that they are part of quite a mixed metaphor! The salt and pepper shakers have never been used, and the timber is in ‘as-new’ condition. A must for salt and pepper shaker collectors- or cat fanciers- or indeed cat-loving salt and pepper shaker collectors. Welcome to Laurieton, a coastal town on the north coast of NSW. Home – at least in the 60s – to bowls and pelicans! 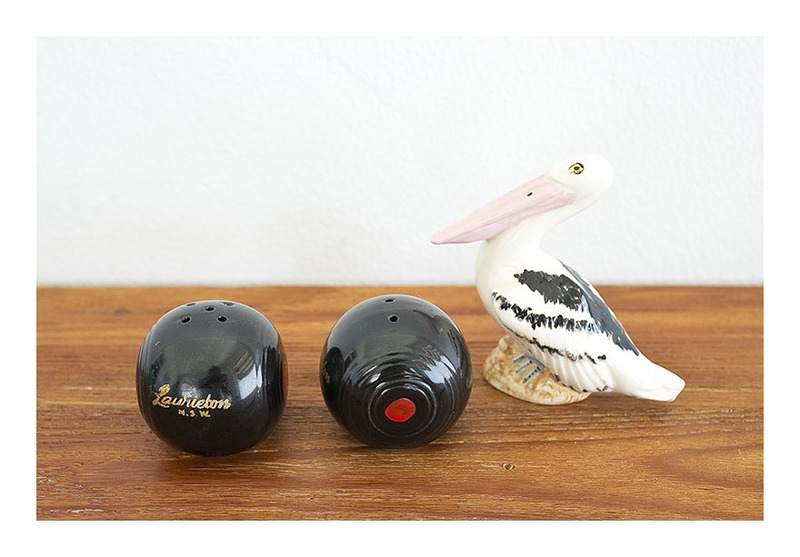 This collection features salt and pepper shakers in the shape of – bowls- with ‘Laurieton N.S.W.’ written in gilt on the sides, and a pelican figurine [somewhat out of scale.] In the world of souvenirware- scale and technical detail wasn’t always a priority. Cheap, kitsch souvenirs that you can give away as gifts to prove you actually WERE in Laurieton was what it was all about. Souvenirware is increasingly popular amongst collectors. Those once tacky, cheap souvenirs are having a renaissance, with kitschiness celebrated and embraced. That’s certainly why I love it.